With its spacious UL-listed panel shop and engineers now housed under the same roof just a few steps away, our new facility accommodates more panels under fabrication at one time for assembly-line efficiencies — and quicker turn-around for our customers. In our never-ending quest to streamline and standardize the steam generator commissioning process, we’ve built a training control panel to further educate our technicians and minimize unexpected errors and time-consuming setup in the field. Need explosion-proof cabinets built for a volatile environment containing flammable vapors? ACES now UL 698A listed so we’re trained, experienced and qualified to meet the exacting standards and special materials required by these demanding surroundings. 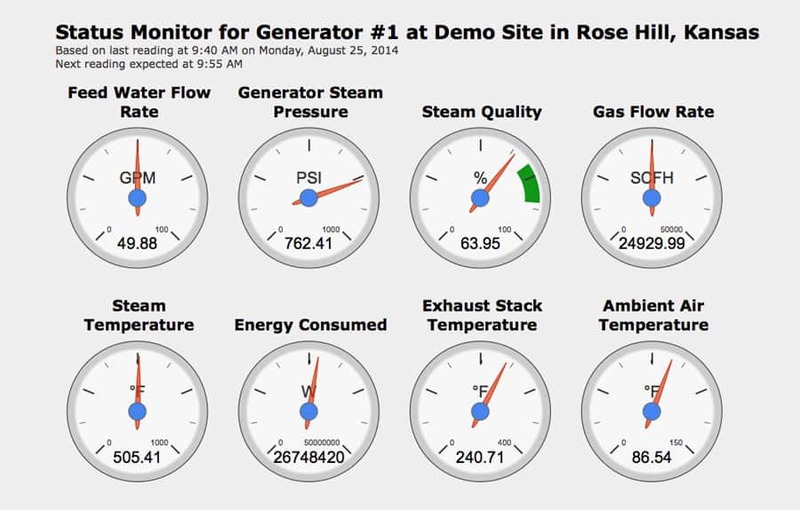 Now you can monitor your steam generator parameters from anywhere in the world. From steam quality and temperature to flow fuel rate and more, keep your finger on the pulse of your steam generator data. 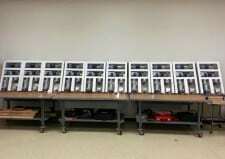 Ten populated back planes prepped for installation in explosion-proof panels. The oil fields of North Dakota are a volatile environment, so these 10 NEMA 7-rated LACT panels are designed to be explosion proof, thanks to thick walls of cast aluminum studded with Grade 8 bolts. 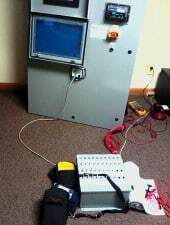 The simulator (foreground) attached to a cabinet. ACES ensures a seamless takeoff for our cabinets with the use of a simulator — before the cabinet ever passes our shop doors. 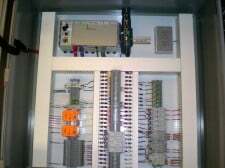 ACES customized their FlexSteam Control System by adding quick connectors and pump trending for a customer mining the Canadian oil sands. A filter press needed simplification for semi-automatic use as a simple water filtration system. 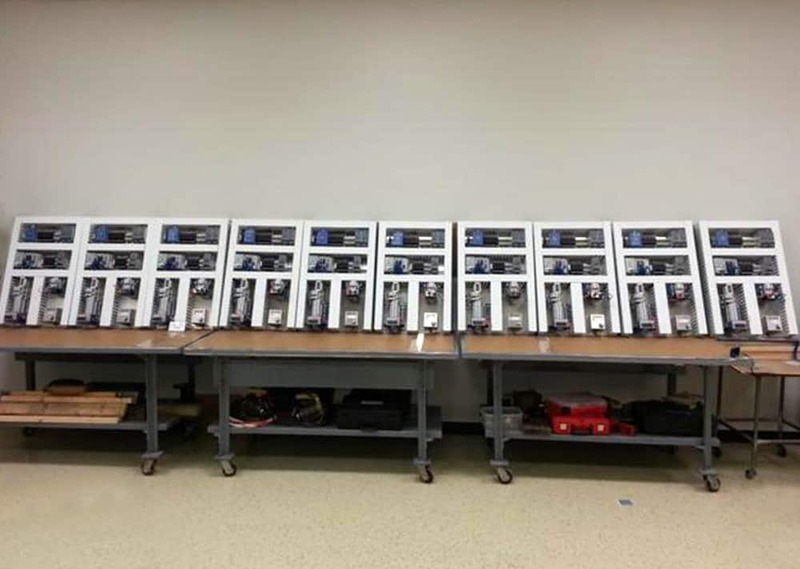 ACES installed new PLCs, cabinetry, VFDs, Ethernet, radios and a Wonderware SCADA system in a municipal freshwater system that needed upgrading. This major system upgrade enables near-instantaneous communication flowing to and from the outlying stations. Wastewater lift station gives a boost to efficiency and safety. A sophistacated SCADA system and a VFD with a bypass option make this lift station unique. 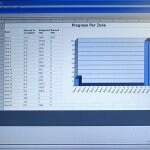 Real-time data acquisition puts metrics at your fingertips. 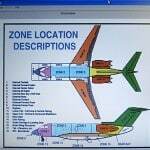 How to save 20-40 percent per aircraft. Nine months ago a major aircraft manufacturer came to us with a challenge: They wanted a system that would turn on a light bulb if a task exceeded the allotted time. 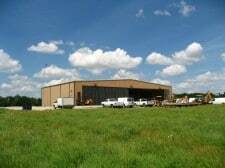 What started off with one build station, one operator and a light bulb eventually expanded to a factory-wide, real-time data acquisition system which increased efficiency and resulted in savings of 20-40% in time and materials. 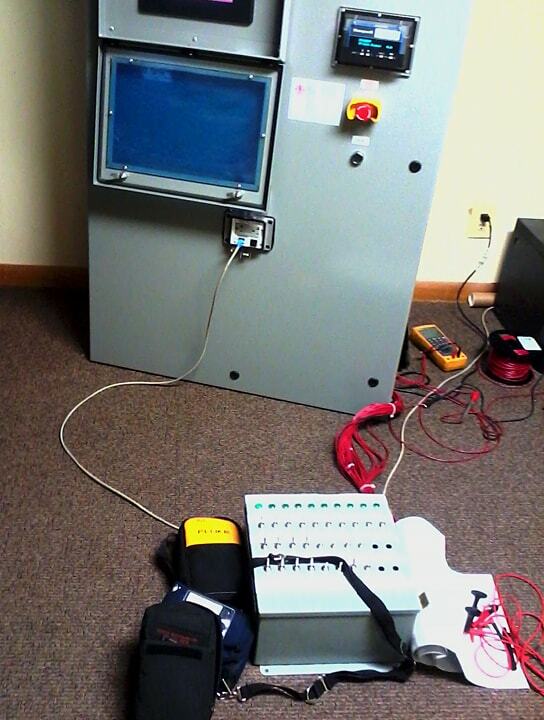 ACES real-time data acquisition system in action. Follow a day in the life of a line employee at a major aircraft factory as he checks for tasks and alerts, summons Alan the engineer to ask a question, and explains to Stan the supervisor why he’s running behind on production. The SCADA system installed by ACES makes it all seamless.